“Is bankruptcy right for me?” It’s a common question, and the truth is, bankruptcy may actually be the best way to get a fresh start on your finances. But whether or not you should file really depends on your circumstances. If you are wondering whether to file bankruptcy or not, a bankruptcy attorney can help you weigh your options and make a decision that makes sense for your situation. Contact the Law Office of Eric Kornblum today. If you are, you may not need to worry about bankruptcy. If you own no property beyond your home, furnishings, clothing, and an inexpensive car, and your income comes only from Social Security or a retirement or pension fund, then no creditor will bother to sue you. They can’t take away pension income, and you wouldn’t be able to pay if they did sue. If you aren’t judgment proof, you have recourse to either Chapter 7 or Chapter 13 bankruptcy. If you have limited income and relatively few assets you can protect with state-allowed exemptions, go with Chapter 7. The Chapter 7 means test value varies depending on your household size. But in Massachusetts, you can file Chapter 7 if you make less than $7,475 per month, and may be able to file if you make up to $12,475 per month. Chapter 13 bankruptcy is better if your income is too high to pass the Chapter 7 means test, you have a lot of property, and you want to pay back debt over time. Whichever you choose, remember: you have to pay for what you keep. Some people use Chapter 13 to save a home or car, but if you keep paying your bills for both, you can keep them in Chapter 7 too. A bankruptcy of either type will help wipe out some or all of your debt. Non-dischargeable debt or “priority obligations” includes child support, alimony, most student loans, recent taxes, government penalties, and fines. In Chapter 7, all unsecured debt is discharged. If you have non-exempt assets, they are sold to help pay off creditors. 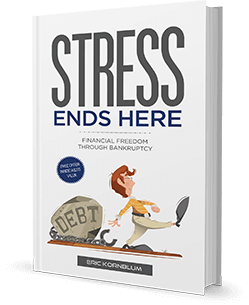 In Chapter 13, you pay off all debt through structured payments lasting 3-5 years. Bankruptcy allows you to take advantage of the automatic stay that comes with the filing. This blocks creditors from continuing any collection activity against you. Any repossession or foreclosure stops when the stay goes into effect. Even if your home is on the verge of being sold, the automatic stay will stop the sale until the creditor finds a way to lift it. Saving your home is an excellent reason to file for bankruptcy, but realize that if you want to keep the property, you’ll have to pay the new payments and pay the arrears. A Chapter 13 reorganization may be the best way to ensure you keep your home. The court will add your mortgage arrears to the bankruptcy payment it arranges. Again: you must still pay your mortgage payments on time if you expect to keep the property, both during and after the bankruptcy process. If you don’t, the lender can foreclose on it again. Do You Have Multiple Mortgages or Liens? If you have multiple mortgages or liens on a property, you may be eligible for a “lien stripping.” The extra loans are stripped from the property and discharged. This is more likely to occur if the value of the property is lower than the total amount of the mortgages or liens. If you’re wondering if you should file for bankruptcy, ask an experienced Westfield bankruptcy lawyer. We can help you weigh your options and make an informed decision. Contact the Law Office of Eric Kornblum today.